The release of this album represents nothing less than a hidden treasure coming to light. In early 2016, and much to our surprise, some old reel-to-reel tapes were handed to us by Peder Hansen of Little Beat Records, Denmark. He knew how much we were into this music and hearing and transferring the tapes for the first time in June 2016 in Berlin was deeply impressing. Equally, having the opportunity to see some original photographs from that period, kindly provided by Allan Botschinsky and Inge-Lise Husum, proved an additional thrill. 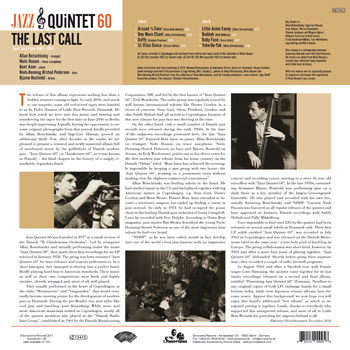 Now, after decades in the vaults, we are pleased to present a restored and newly mastered album full of unreleased music by the godfathers of Danish modern jazz - “Jazz Quintet 60” (or “Jazzkvintet 60”, as it was known in Danish) - the final chapter in the history of a simply remarkable, legendary band. Jazz Quintet 60 was founded in 1957 as a small section of the Danish “Ib Glindemann Orchestra”. 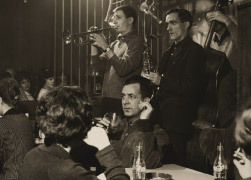 Led by trumpeter Allan Botschinsky and initially performing under the name “Jazz Quintet 58”, they made their first recordings for an EP released in January 1958. The group was later renamed “Jazz Quintet 60” for later releases and concert performances. In a short timespan, they managed to develop into a perfect band, fluidly playing hard-bop to American standards. Their music as well as their own compositions were fresh and highly creative, cleverly arranged and, most of all, well played. They usually performed in the heart of Copenhagen, at the clubs “Montmartre” and “Vingaarden”, that would eventually become meeting points for the development of modern jazz in Denmark. During the pre-Beatles era, new styles like cool jazz and hard-bop were flourishing. While more and more American musicians settled in Copenhagen, nearly all of the quintet members also played in the “Danish Radio Jazz Group”, established in 1961 by the Danish Broadcasting Corporation (DR) and led by the first bassist of “Jazz Quintet 60”, Erik Moseholm. The radio group was regularly joined by well known international soloists like Dexter Gordon in a series of concerts. Stan Getz, Oscar Pettiford, Gordon and also Sahib Shihab had all moved to Copenhagen because of this new climate for jazz that was thriving at the time. On the other hand, only a small number of Danish jazz records were released during the early 1960s. 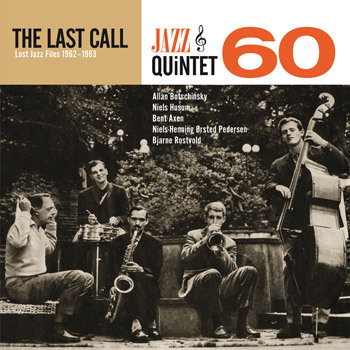 At the time of the unknown recordings presented here, the late “Jazz Quintet 60” featured Bent Axen on piano, Allan Botschinsky on trumpet, Niels Husum on tenor saxophone, Niels-Henning Ørsted Pedersen on bass and Bjarne Rostvold on drums. As Erik Wiedemann points out in his sleeve notes for the first modern jazz release from his home country on the Danish “Debut” label, “Bent Axen has achieved the seemingly impossible by keeping a jazz group with two horns – the 'Jazz Quintet 60' - working on a permanent basis without making even the slightest commercial concessions”. Allan Botschinsky was leading soloist in the band. He had studied music in the US and had played together with big American names in Copenhagen, e.g. Stan Getz, Dexter Gordon and Brew Moore. Pianist Bent Axen intended to become a veterinary surgeon, but ended up finding a career in jazz instead. As early as 1951, he had occupied the piano chair in the leading Danish jazz orchestra of Jonny Campbell. Later he recorded with Eric Dolphy. 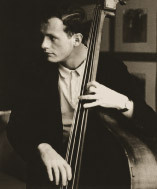 According to Down Beat magazine, jazz master Ray Brown described the young Niels-Henning Ørsted Pedersen as one of the most important bass talents he had ever heard. “NHØP”, as he was later called, would in fact develop into one of the world`s best jazz bassists with an impressive concert and recording career, starting as a mere 16 year old schoolboy with “Jazz Quintet 60”. In the late 1950s, outstanding drummer Bjarne Rostvold was performing jazz on a daily basis as a key member of the Jørgen Grauengaard-Ensemble. He also played and recorded with his own trio, usually featuring Botschinsky and NHØP. Tenorist Niels Husum was featured on all regular releases of the quintet and later appeared on fantastic Danish recordings with Sahib Shihab and Palle Mikkelborg. Four impossible to find vinyl EPs by the quintet had been released on several small labels in Denmark only. Their first LP, solely entitled “Jazz Quintet 60”, was recorded in July 1962 in Copenhagen and was released on the Danish Metronome label in the same year - a true holy grail of hard-bop in Europe. The group collaboration was short-lived, however; by 1963 and after a mere four years of playing together, “Jazz Quintet 60” disbanded. Shortly before going their separate ways, they recorded a couple of radio farewell programs. Allan Botschinsky, used by friendly permission, cover artwork: Ingo Wulff. Executive producer (for release): Ekkehart Fleischhammer. Inge Balling and Mark Kanak. This release is a collaboration between Sonorama Records and Little Beat Records. All tracks are culled from Niels Husum's private tape collection being deposited with Little Beat Archives. With this release we are especially pleased to emphasize and honour the importance of Niels Husum's jazz career.